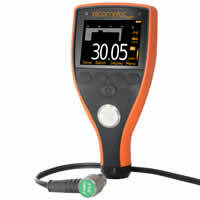 With their ergonomic, rugged design, accurate and easy to use menus in multiple languages, the Elcometer NDT range of Corrosion Ultrasonic Thickness Gauges is ideal for measuring and recording material thickness and sound-velocity on a variety of substrates, in a wide range of industrial applications. 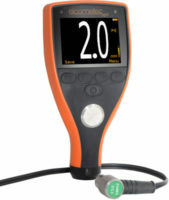 The Elcometer MTG2 Material Thickness Gauge with automatic transducer recognition which ensures correct probe identification even when the transducer is changed, a measurement rate of 4Hz (4 readings per second) and integral zero disc ensuring maximum accuracy of ±1%, makes the MTG2 ideal for taking basic thickness measurements. 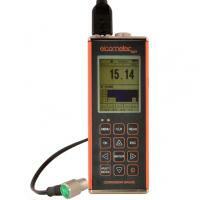 The Elcometer MTG4 Ultrasonic Material Thickness Gauge is ideal for taking readings on a wide range of coated and uncoated materials, with a choice of calibration options and measurement modes. 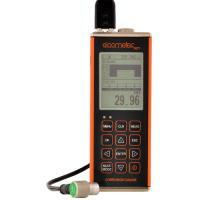 The Elcometer MTG6 & MTG8 Ultrasonic Material Thickness Gauges are ideal for taking readings on a wide range of coated and uncoated materials and downloading data for further analysis and reporting. 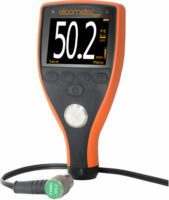 Both the MTG6 & MTG8 include a choice of calibration options, measurement modes – including high speed scan mode, display options and data-logging.